Home › Investing › What Are The Best Options Trading Books? What Are The Best Options Trading Books? When you invest in stocks, you can make money when they rise or pay dividends. But how do you protect your nest-egg when stocks fall? How do you earn income regularly even when share prices don’t increase over time and companies don’t pay dividends? Options are popular among investors and traders looking to limit downside risk, generate income regularly on existing portfolio holdings, and speculate on price moves. Experienced options traders can significantly lower risk on portfolio holdings during stock market crashes and can regularly earn income by trading various options strategies. However, options can be risky when applied incorrectly. 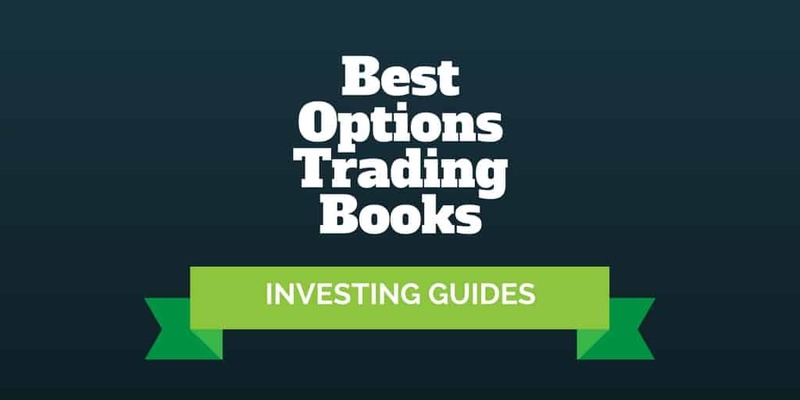 So, we compiled a list of the best options trading books to help you get up to speed quickly. Who This Book Is Right For? Larry McMillan is widely regarded as an options guru. He has been featured on CNBC and Bloomberg TV, traded professionally, and been awarded the prestigious Sullivan award by the Options Industry Council for his contributions to the U.S. options markets. He is also the author of one of the seminal works in options trading: Options As A Strategic Investment. McMillan’s book is a long-time bestseller and must-read for any student of options trading strategies. It is so comprehensive that it may be the only options book you ever need. Indeed it earned McMillan so much respect that he has been sought after for quotes by Barron’s, Futures Magazine, and TheStreet.com among others. It’s no surprise McMillan became an options expert. He is highly quantitative, having earned a B.S. Degree in Mathematics and an M.S. in Applied Mathematics and Computer Science. But he is not just a numbers guy. He also communicates and teaches in a clear, matter-of-fact way that makes it easy for readers to follow along and pick up the options techniques he describes in Options As A Strategic Investment. Which option is a buy? What is a butterfly spread? What is a ratio call spread? Trading options has its pros and cons. You can buy protection, similar to insurance in order to limit downside risk on stocks you own, but it will cost you money out of pocket to do so. And you can generate income with covered calls but limit upside gains. So how do you weigh the costs and benefits of trading options? Trading Options For Dummies is written to help you make those cost-benefit assessments, build strategies to win no matter what the market conditions, and broaden your portfolio with equity, index, and ETF options. If you are new to options trading and want a clear guide that is jam-packed with charts and strategies, Understanding Options 2E by Michael Sincere is a bestseller with good reason. Sincere looks to help readers understand options trading basics, overcome anxiety associated with the obligations of options, and get comfortable with the Greeks – factors which affect options prices. The basic strategies and more advanced options strategies are covered, plus the book is filled with helpful options tips. So, whether you are learning for the first time about married puts, collar trades, and covered calls, or credit and debit spreads, straddles and strangles, Sincere walks you step-by-step through applying options with an eye on risk and reward. Options trading can be lucrative if you know what you’re doing. But how do you know what to do or how to get started trading so that you don’t lose money instead of making it? Samuel Rees’ Options Trading: The BIBLE is a helpful resource that you can use to understand the stock market better and proceed with confidence as you make your first trades. The author is regarded as an expert trader who has been where you are now. But before he became successful, he struggled financially for many years before beginning to study the stock market in depth with the aid of a mentor. Once he mastered the stock market, he claims to have earned significant money from his investments and now passes his knowledge on to other investors who may be struggling financially. The book focuses mostly on stock market basics. Investors who don’t know a lot about the stock market will find the crash course offered here helpful. It also helps investors avoid making serious mistakes that can lose them money – many investors who have read it have commented that they wish they’d picked it up before they began investing. This book is geared towards the beginning investor. Readers who are unfamiliar with the stock market and want to begin trading will find it valuable. It’s also helpful for anyone who wants to learn more about stocks and options trading, regardless of how much experience you’ve had with the stock market already. Common lingo that traders use. You’ll learn vocabulary that is familiar to most expert traders and understand what common words mean in terms of whether or not to invest in a particular stock. Mistakes to avoid. You’ll get an insider’s explanation of common mistakes traders make that cost them money and how to avoid them, as well as the faulty reasoning behind these mistakes. Strategies for success. This book goes in depth about common trading strategies, explaining why these strategies work. There is also a step-by-step guide for making your first successful trades. Understanding risks. The book goes into the risks you take when you get involved in options trading and how to understand, evaluate, and mitigate these risks. What options trading books have you read that you would recommend? Let us know what the best options trading books are in your opinion, we would love to hear from you. >> Options Vs Stocks: Which Should You Choose?